After the resounding allied victory in the Gulf War (1991), John Arquilla and David Ronfeldt started theorizing at the RAND Corporation about the future of technological war, considering the experience of what was called ‘The First Information War’ . Arquilla and Ronfeldt stated that technologies such as the GPS, new electronic sensors and data links would enable future combatants to organize themselves as a network, sharing information about the location of the each other and the enemy. All was needed is just one one node finding the enemy to allow the whole network to be aware of it and then organize an attack as a swarm. Arquilla and Ronfeldt called that way of warfighting ‘netwar’ . Meanwhile, the visions about future war from gurus such as the Tofflers  and the Friedmans  announced a new era of uncontested American military hegemony, thanks to information technologies that was heralded also by the Pentagon in the midst of the dot-com bubble. After the 1996 Taiwan Straits Crisis, and facing the threat of the nuclear programmes from ‘rogue states’ like Iran and North Korea, the Pentagon found the conventional enemies it was missing. Athough, Arquilla and Ronfeldt left behind the state-centric perspective to study the use of new technologies by criminal, hacker, terrorist and political activists networks. It was a matter of chance that their book, Networks & Netwars: The Future of Terror, Crime, and Militancy, went to press short before 9/11. Immediately the media ran stories about the threat of ‘terrorist networks’ as a new kind of organization that made Al Qaeda invulnerable when compared with former Western terrorist groups. Technological war fantasies were abandoned (remember the shielving of the Future Combat Systems programme) until the death of Usama Bin Ladin and the American withdrawal from Iraq in 2011. That year, president Obama showed his willingness to close a chapter, after a decade focused on terrorism and the Middle East, and then move U.S. attention to Asia (the ‘Pivot to Asia’). The obvious subtext was that he wanted to check the expanding Chinese power in the Asia-Pacific region. The Pacific Ocean constitutes an empty open flat battlefield like the desert. It’s an ideal place for a high intensity technological conventional war where the forces with the best sensors and long range intelligent weapons prevail. Therefore, the Pentagon started again theorizing about netwar to face China, so the Air-Sea Battle Concept was born [I wrote about it in the Spanish Navy journal: “La tentación de la guerra tecnológica o el camino hacia el Air Sea-Battle Concept]. The technological advances brought back the concept of swarming, but not consisting in highly networked combat units but autonomous swarms of drones as Paul Scharre envisioned in Drones in the Battlefield Part II: The Coming Swarm . Scharre pictured networks of disposable drones with warheads that allowed them to switch their role from ISR asset to intelligent munition. Two years later the concept was tested. The Department of Defense announced recently that a micro-drone swarm was tested last October in China Lake (California). According to the DoD press release, the ‘micro-drones demonstrated advanced swarm behaviors such as collective decision-making, adaptive formation flying, and self-healing’. They weren’t pre-programmed devices but worked as a ‘collective organism, sharing one distributed brain for decision-making and adapting to each other like swarms in nature’. The released video shows 103 Perdix micro-drones being dropped from three F-18s before moving to their target while adopting different fly formations. The Perdix micro-drone. Photo: DoD via Haaretz. The Perdix micro-drones were developed by MIT students. They are small cheap biplanes made with kevlar and carbon fiber, and powered by Lithium polymer batteries. The Pentagon’s goal is to find several companies ready to produce batches of Perdix drones en masse while taking advantage of ready commercial technologies from the civil world. 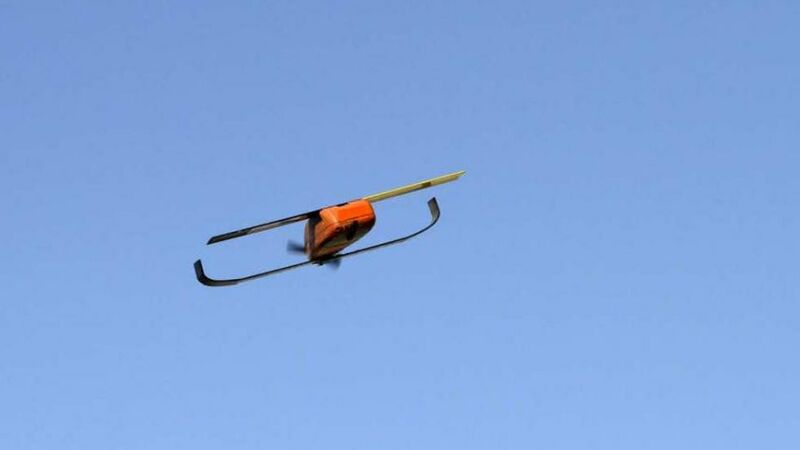 In the future, micro-drones such as the Perdix, could be used as decoys or equipped with electronic transmitters as radars jammers. Meanwhile, the DoD is developing autonomous systems as the Sea Hunter ship. All of these are just first generation prototypes that will evolve to much more advanced and refined systems. CAMPEN, Alan D.: The First Information War: The Story of Communications, Computers, and Intelligence Systems in the Persian Gulf War. AFCEA International Press, 1992. ARQUILLA, John & RONFELDT, David: The Advent Of Netwar. RAND Corporation, 1996. TOFFLER, Alvin & TOFFLER, Heidi: War and Antiwar: Survival at the Dawn of the 21st Century. Little, Brown and Company, 1993. FRIEDMAN, George & FRIEDMAN, Meredith: The Future of War: Power, Technology and American World Dominance in the Twenty-first Century. Crown Publishers, 1996. SCHARRE, Paul: Drones in the Battlefield Part II: The Coming Swarm. CNAS, 2014.